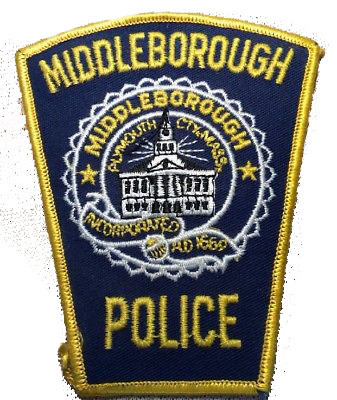 MIDDLEBOROUGH — Chief Joseph Perkins is pleased to announce that a ribbon cutting ceremony was held today to celebrate the opening of the new Middleborough Police Station. Chief Perkins joined several members of the Middleborough Police Department, their families and local officials to open up the new station. The station is expected to be fully operational by Dec. 3. Until then, the police station at 99 North Main St. will remain in use for police business. An open house will be held on Sunday from 12-4 p.m., where residents and members of the public can tour the new station. Construction of the new 16,750 square-foot building began in June 2017 and was completed earlier this month. The new station, located at 350 Wood St., replaces the police department’s previous headquarters on North Main St. The $9.5 million cost to build the new station was funded through a Town Meeting article in 2016. Chief Perkins said the new station features some of the latest technology used in policing and will also be safer for the community. Because of the design of the old station, any people in custody had to be brought inside through the lobby, where members of the public could be seeking assistance or waiting for service. The new station has a separate entrance for prisoners and those in protective custody. Another feature of the new station, which will surely be a boost for morale for the officers is having multiple bathrooms. The old station had one bathroom which was shared by everyone in the department. Chief Perkins would like to give a special thanks to the Bristol-Plymouth Regional Technical School, who will be building an outbuilding that will house the department’s motorcycles, all-terrain vehicles, bicycles and trailers. It will also have an area for fleet maintenance on cruisers. Students will be building the structure and the town will only have to pay for the materials, saving the town approximately $200,000 in costs.